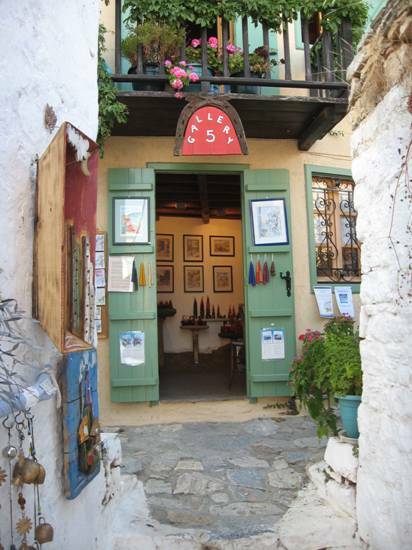 Located in the Old Village of Alonnisos, just above the grocery store that stands right in front of the bus stop, Taverna Peri Orexios (see photo to your right) offers a nice selection of meals. In addition to having a small number of tables at its second-floor location, this restaurant has quite a bit of seating downstairs and directly across the road in an area we have come to call “the forest” (see photo below and on the left). It’s actually a relatively small spot of green space with large pine trees just beyond the bus stop/taxi stand. From Peri Orexios you also get a view of the short road leading up to the plateia (town square), and of the Old Village itself. Taverna Peri Orexios originally opened in the summer of 2007, and quickly became a favorite among Europeans who own homes in the Old Village. 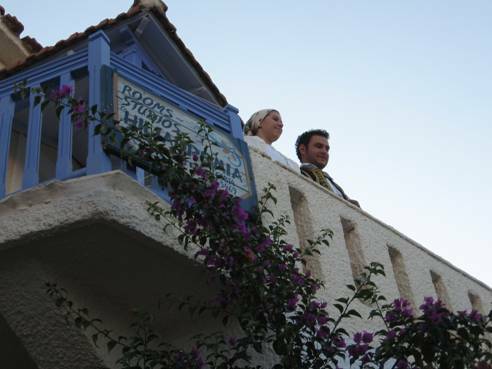 It’s operated by a gentleman named Panayiotis and his wife Marina, who serves as the lead waitress. Its menu includes some traditional Greek faire, but also features dishes from other cuisines. Andrea and I and my in-laws as well are particularly fond of their sautéed mushrooms, tabouli, chicken with Basmati rice, a unique potato dish that is cooked with bacon and yoghurt, and a very tasty eggplant (aubergine) and feta cheese appetizer that is sauteed in tomato sauce. We ate at this restaurant several times during our trips in 2009, 2010, 2011, and 2014, and were always very satisfied with the quality of the food and the service as well. 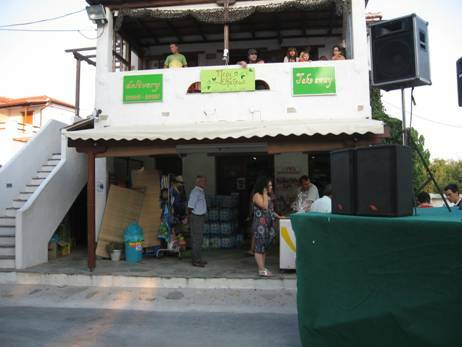 Note that in addition to being seated and eating a meal at the restaurant, Taverna Peri Orexios offers both carry-out and delivery service if you happen to be staying in the Old Village. 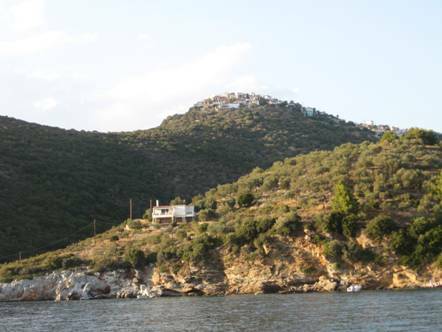 As your hydrofoil boat or ferry approaches the island, you’ll see the Old Village of Alonnisos perched atop one of the mountain peaks, and it is quite a site to behold. 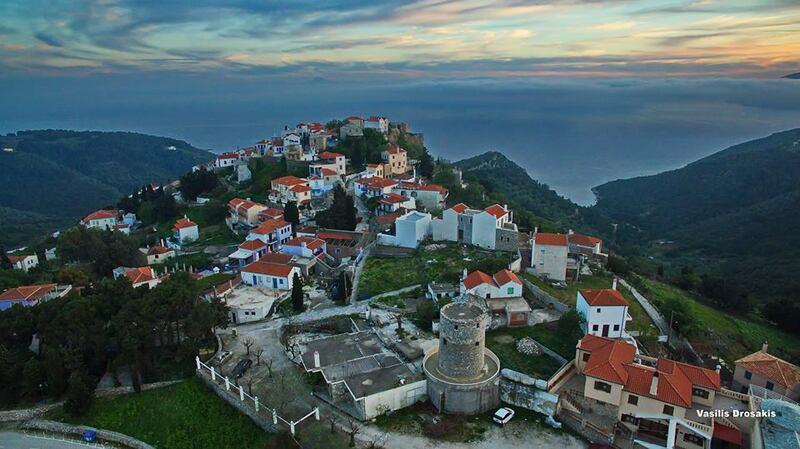 This village dates back to the Byzantine period in history and was the original capital of the island before the houses were destroyed by the disastrous earthquake of 1965. 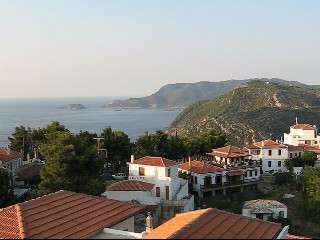 That seismic event devastated the island, and particularly the Old Village. The local folks living up there were then forced by the ruling Junta to move down to the port town of Patitiri where rather basic housing was built to accommodate them. That left the Old Village essentially uninhabited. It remained that way for perhaps 10 years or more until primarily foreigners began buying up the “ruins” of the buildings. Over time restored houses began to take shape and the Old Village became lively once again. Electricity ultimately found its way to the village and that created an even greater opportunity for it to expand as a tourist destination. 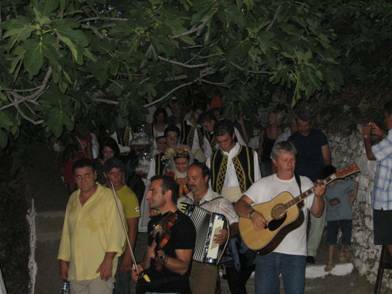 Today the Old Village is probably the most popular place on the island, and this is especially true during the high season for tourism, when on any given night the sounds of music, plate clanging, and socializing can be heard throughout the areas surrounding it. For more information about the origins of the old town click here. 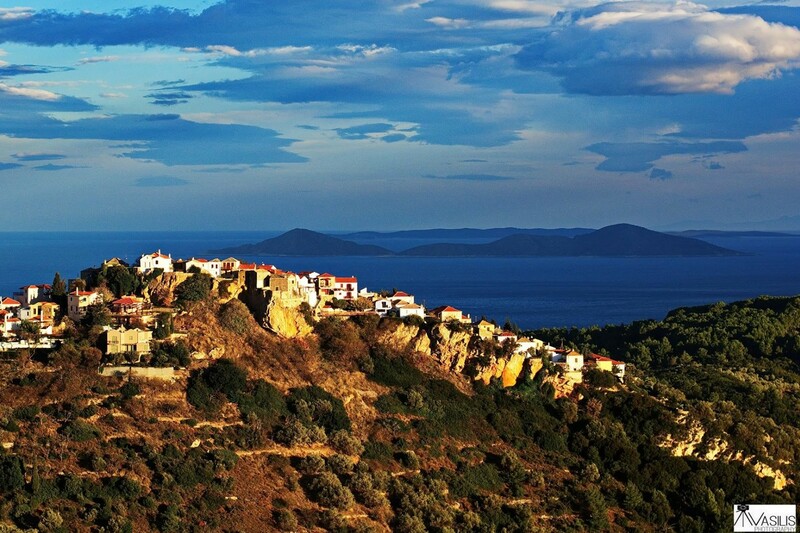 When we visit Alonnisos we stay in an area that is often referred to as the “lower village,” a series of homes further down the mountainside. Though admittedly not quite as quaint, it’s a lot quieter and the houses are not so packed together. 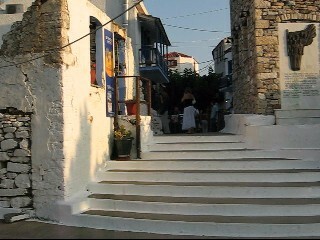 It’s just a short (though somewhat steep) walk up to the plateia (town square) of the village. 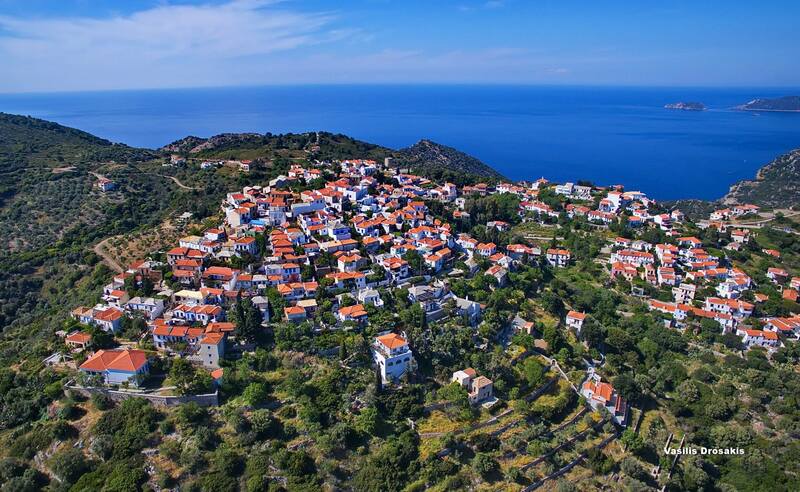 There are numerous homes available for rental in this area of the village; to learn about three properties that I’ve written about here on this blog, click here. There is also fine art available in the Old Village, as Bente Keller, a Danish painter, operates an art gallery called Gallery 5 that features her beautiful watercolor artwork. 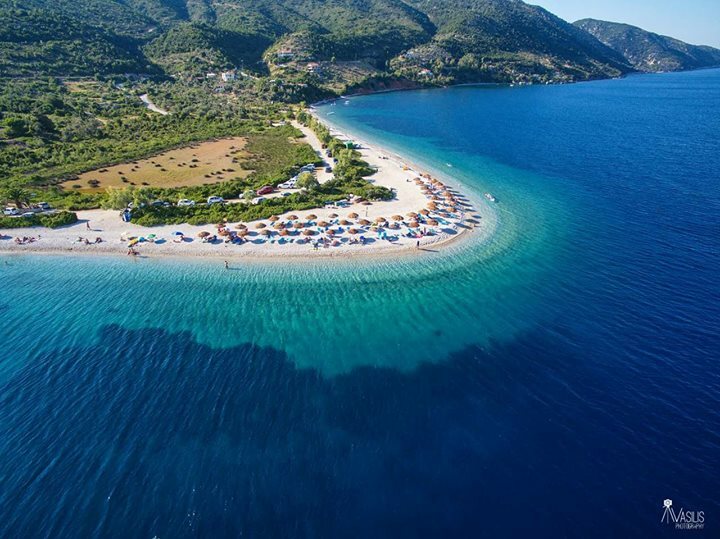 Note that she likewise sells a wonderful book called the Alonnisos Guide that is packed with valuable information about the island. 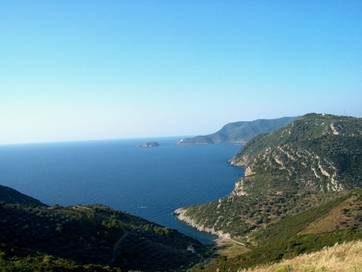 In addition, she has available a very handy book called Alonnisos on Foot, which is a detailed guide to swimming and walking on the island. If you’ve never been to island, these two books will be of great value to you in planning your stay, and great reference for the times when you return (and I predict you will!). 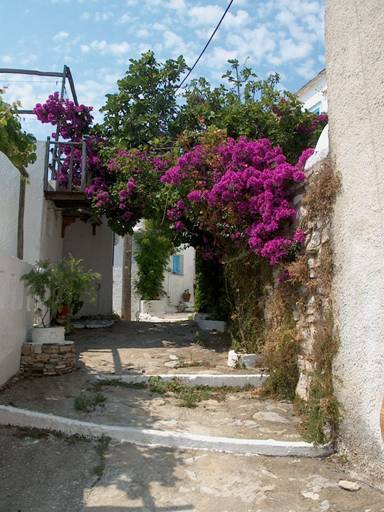 During the day the Old Village offers a wide range of eye-catching views as you wander through its labyrinth of walkways. To see other examples of the rich visual textures offered by this lovely little place click here. 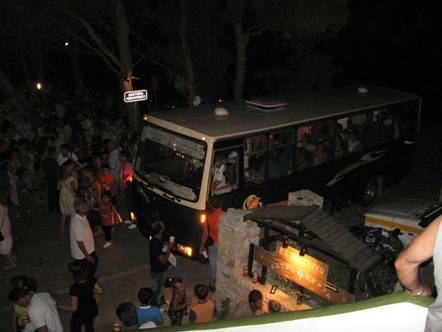 At night is when the Old Village really comes to life, as it’s just an amazing place to walk around and people watch. We always get a kick out of seeing the style-conscious young women with stiletto heels trying to navigate their way up one of the cobblestone paths in the village. It is very unusual for them to make it the full length of the path without almost tripping once or twice along the way. Ah, the things we do when we’re young! 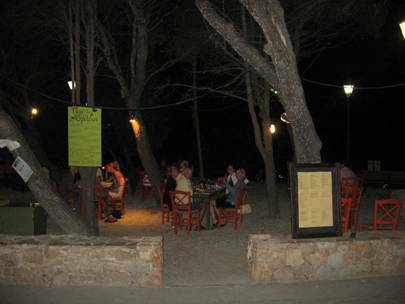 During the height of the season, there are always numerous people enjoying their drinks and dinner at a number of establishments that line the walkways of the village, plus a lot of people just walking around and soaking up the lively atmosphere of the place. 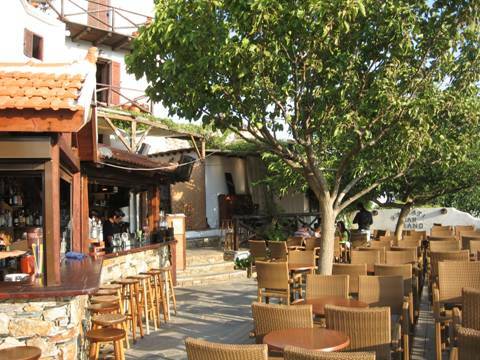 Taverna Aloni in the Old Village has been in business for a very long time, and has a very loyal following from locals as well as other European homeowners in the village. 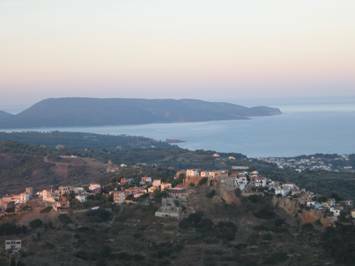 One of the most distinctive advantages of this taverna is its location, as it provides for breathtaking views toward the north/northeast (see photo to your right). The Aloni menu is fairly basic, consisting primarily of traditional Greek salads and spreads, and the main entrees are focused on meats and fish cooked on a charcoal grill. The good is good and the service is as well. 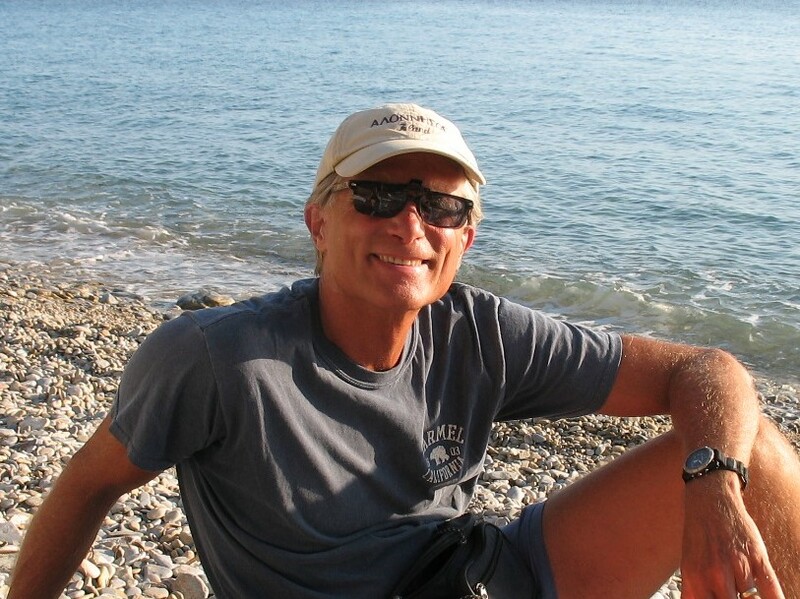 For many years The Aloni was operated by a much esteemed local man named Panayiotis, who would keep the restaurant open all year long. Sadly, he passed away a few years ago and is still sorely missed. 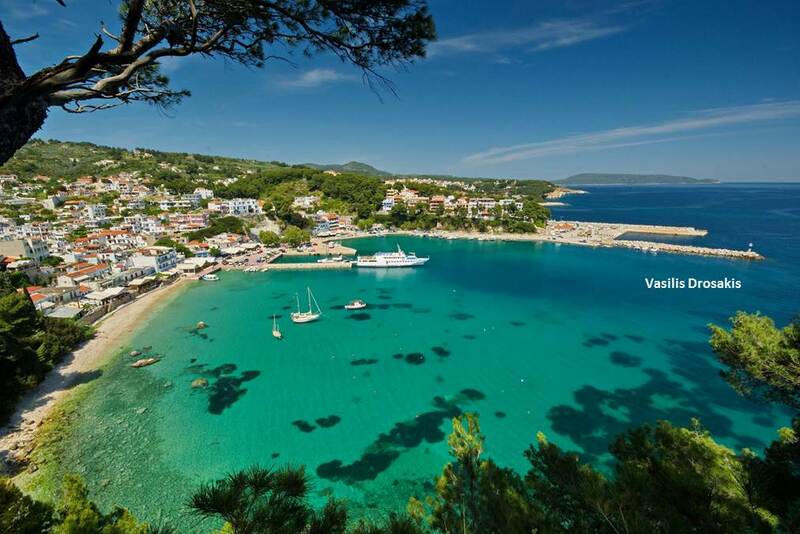 His widow Vinetta is now operating the taverna but only keeps it open from June to perhaps mid-September. 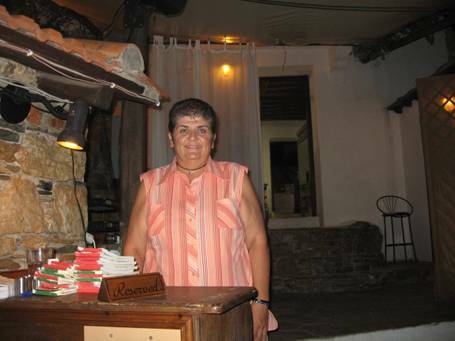 She is assisted by her lovely daughter Ourenia, who is a very friendly and efficient waitress.